Food is an exploration of culture. It is about communication and Abida Rasheed’s food tells us a story. It speaks about the culinary traditions of the Moplah (Malabari Muslim) community that she belongs to, her culinary prowess and the hospitality of Kozhikode (Calicut), a town in Kerala where this home chef comes from. “There is a lack of awareness about Moplah or Mappila Cuisine which is a blend of local Malabar & Arab fare with some Portuguese influence and it a matter of pride for me that I have been able to popularize this great Indian cuisine through various food festivals and television shows” says Begum Abida during the course of our meal at Fire, the Indian speciality restaurant at The Park New Delhi, where she is currently curating a food festival titled The Malabar Spice Route along with Executive Chef Abhishek Basu, who has been successful in restoring some of the past glory of Fire. The ethos of Fire is to showcase unheralded cuisines from different regions of India and the Moplah Food Festival is a part of that ongoing endeavour. 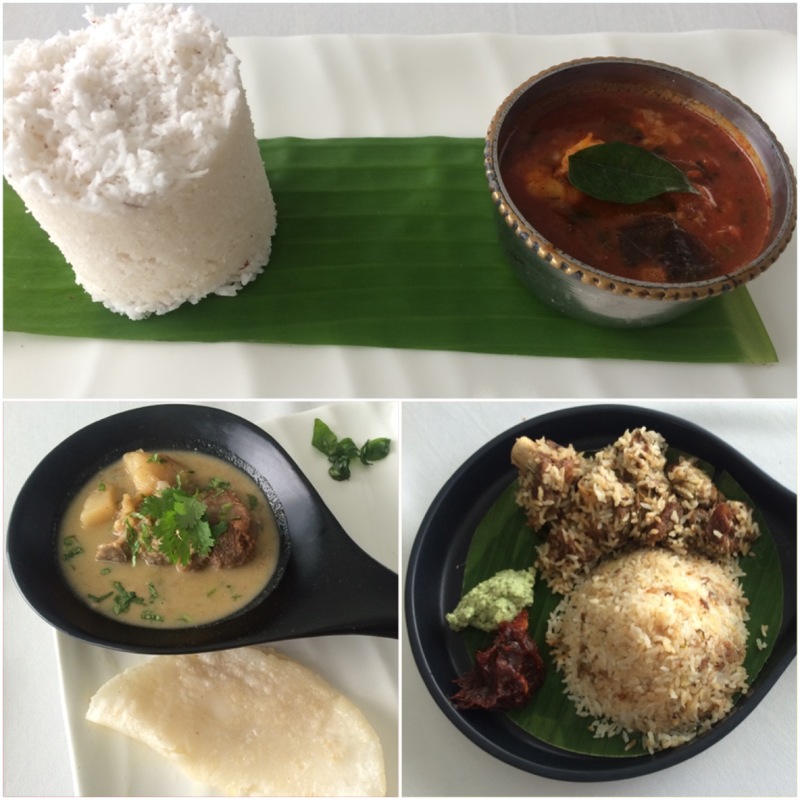 For the festival Abida Rasheed has handpicked some signature dishes of Mappila cuisine. The recipes used are from her own kitchen and she has carried the spices and even some of the utensils like uruli (brass pot) & cheena chatti (cast iron frying pan) all the way from Kerala. She uses rock salt in her dishes and does not use spoons for measuring the spices while cooking. “I cook by instinct. Little things like when to add the salt to the dish matters a lot. It makes a huge difference to the taste. I do not use any tinned stuff and even the double filtered coconut oil and ghee has come from home”, says the well-travelled chef with a lot of pride. When she is not cooking, this ambassador of Mappila cuisine runs a flourishing textile business which has taken her to different parts of the world. I tried tasting portions of some of the dishes on the menu and my recommendations are: Erachi pathiri (deep fried puires stuffed with onion and mutton). Pathiri or unleavened flatbread made of rice flour is the mainstay of Mappila cuisine and influenced by Arab food tradition, the only difference being that wheat is substituted with rice. In fact there are more than 50 varieties of pathiris which vary from region to region. Kaduka Nirachathu: Mussels (both shallow fried and steamed) stuffed with a mixture of rice flour and coconut are absolutely delicious especially the steamed ones. These are special mussels (Kallummakaya) which grow on rocks in contact with the sea and Abida Rasheed has brought with her a couple of kilos for the food fest. No fancy New Zealand mussels for her. Chemeen Mulaku Curry: Prawns cooked in tomato gravy is fiery but the heat is tempered by serving it with soft and fluffy “puttu” which is made by powdering rice and coconut and steaming it in a cylindrical vessel. Mutton Ishtu (mutton cooked in coconut milk, white pepper, onion & potato comes with pathiri and flaky Malabar parottas. Mildly spiced it is a delicious home style stew. The Moplah Muslims used to sell spice to others but were very restrained when it came to using them in their own food especially the famed Tellicheery black pepper. This reflects in the dishes which are on offer at the fest. The food is not rich in gravies and oil laden like the cuisine from Kashmir, Hyderabad, Lucknow and Delhi and the spices are decidedly mild. The star of the menu however is Thalassery Mutton Dum Biryani made with special fragrant short grained kaima rice from Bengal. The meat is marinated in yogurt and cooked for hours and literally falls off the bones when you eat it. The way it is served is also different as the meat is placed on the side rather than mixed into the rice. The special rice is light on the stomach and does not leave you feeling bloated. 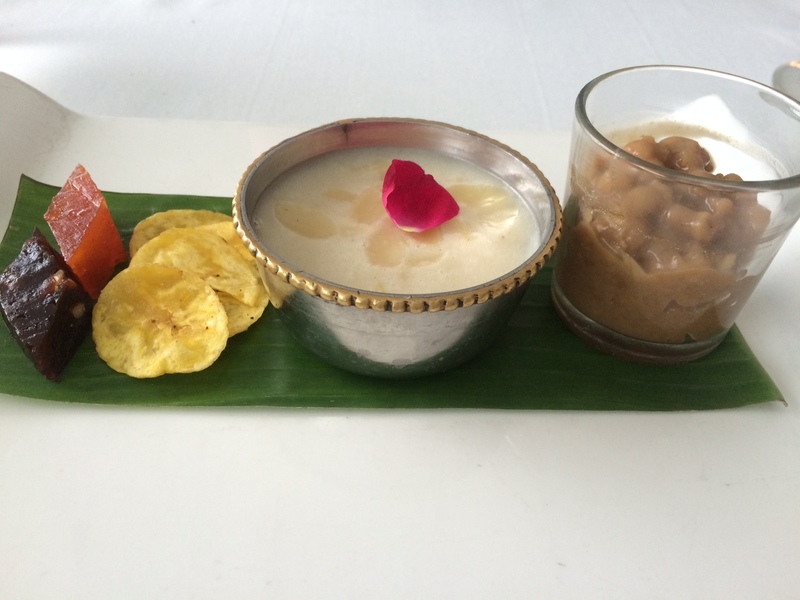 The tasting platter of desserts comprises of Chakara Choru (whole wheat cooked in milk & coconut jaggery) Elaneer (tender coconut) Payasam and special Moplah halwa, a glutinous confection made from refined flour, sugar, palm sugar & coconut oil, black in colour but with variations in orange and green. Most of the dishes are very reasonably priced and the festival is open only for dinner. Lunch option is available for groups (minimum 20 people) at Rs 1200 onward. There are quite a few vegetarian options too though I did not try them out. 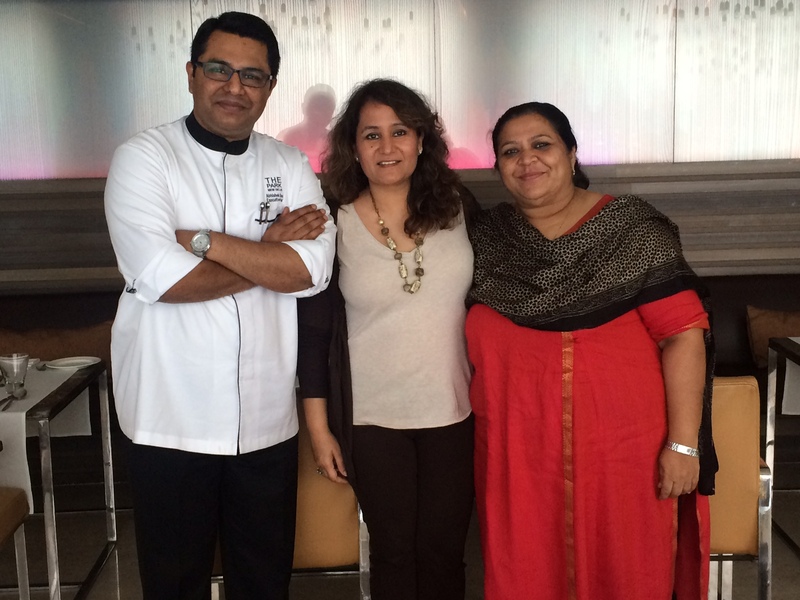 The Malabar Spice Route with Chef Begum Abida Rasheed is on at Fire, The Park New Delhi only till the 13th of December. So don’t miss your chance to try out timeless classics of Moplah or Mappila Cuisine whichever name you chose to call it by. In case you need to know more about this cuisine and the dishes Begum Abida Rasheed and her lovely daughter Nasifa will be only too happy to interact with you. It will give you a feel as if you are eating at their home rather than at a hotel.